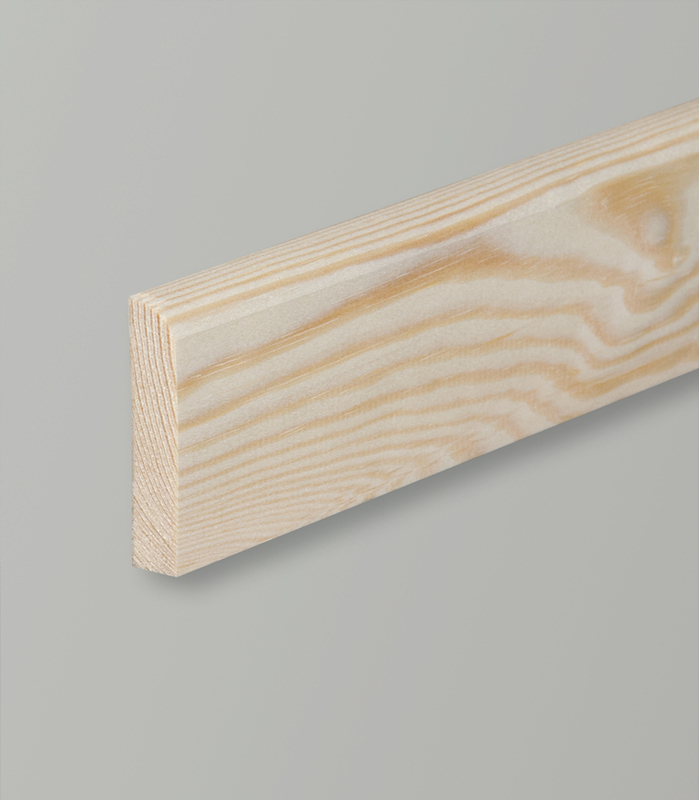 The Solid Timber Moulding with Skirting Board design is ideal to highlight the ornamentation of a structure and to conceal surface or angle joints. 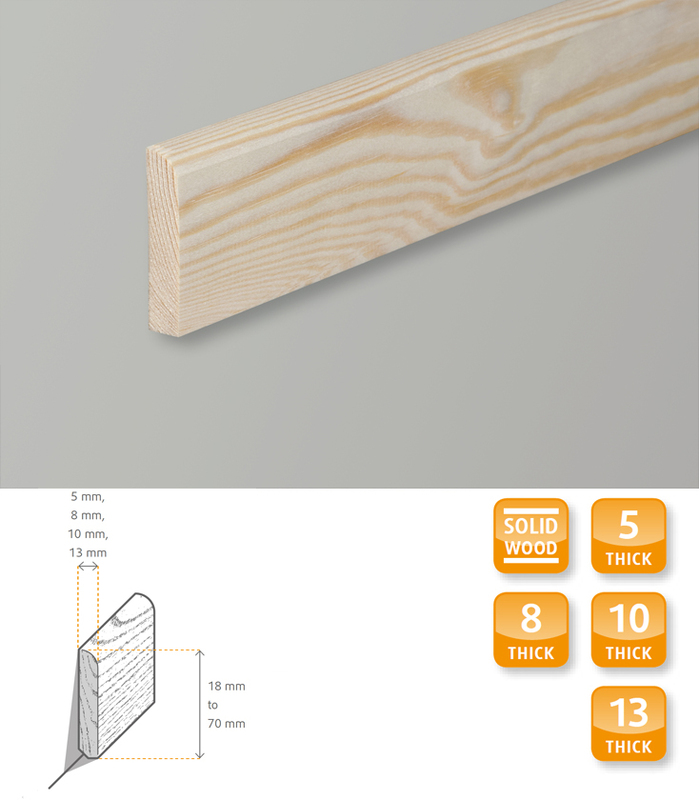 The Skirting Boards are made from pine solid wood and it is ideal for painted surfaces and also boasts good dimensional stability. The skirting can be fitted using glue (solvent-free adhesives recommended), nailed or screwed to the wall. 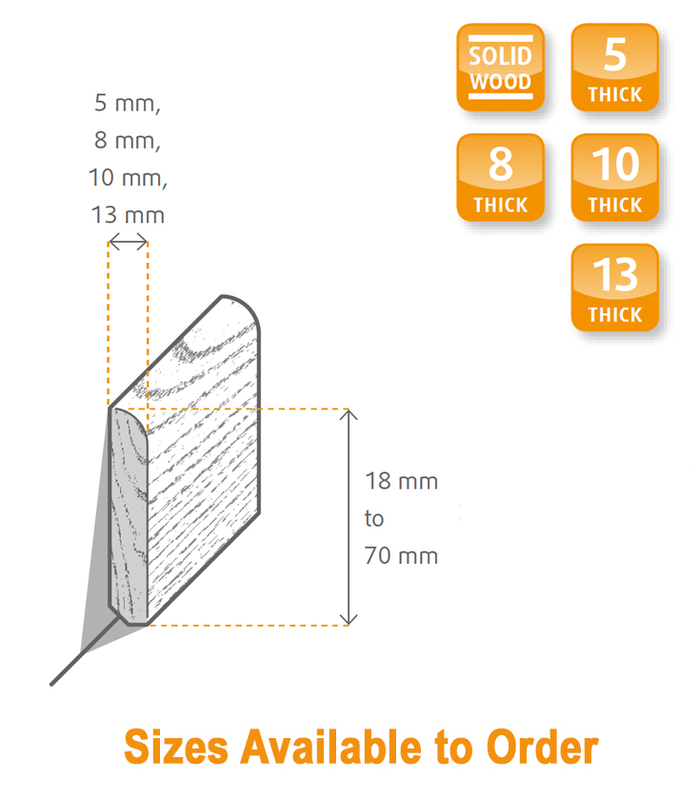 The length of each skirting board is 2.4m.